If you’d like to serve champagne cocktails at your next summer party, we’ve got the perfect guide for you. There’s no need to remember recipes, simply resort to this handy infographic from Visual.ly. 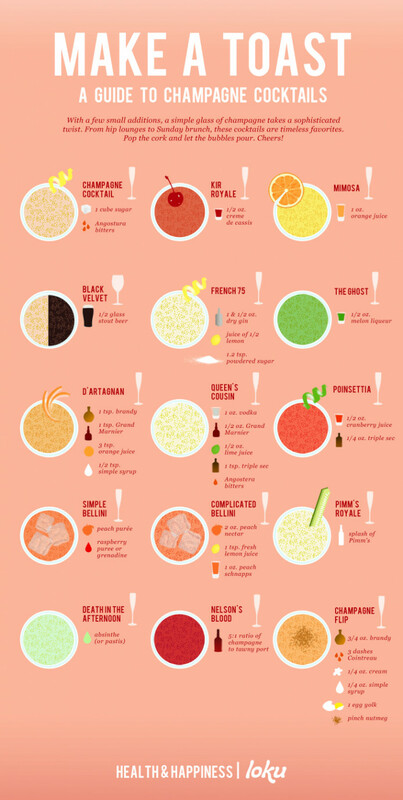 From classic Mimosas and Bellinis to Pimm's Royale, this colorful infographic teaches you the adequate ratios and ingredients you need to master champagne cocktails. If you'd like some help selecting champagne, blogger MissGlouGlou has a few suggestions for you. Cheers!